The AMBRO Manufacturing Tactitee is a basic and durable T-Shirt with velcro sleeves. 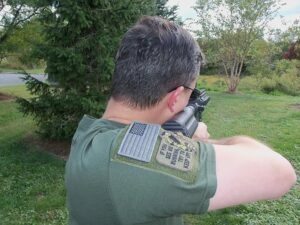 If you’ve been searching for shirts with Velcro Sleeves, you’ve found one of the only manufacturers in the U.S.A. that offers this product. 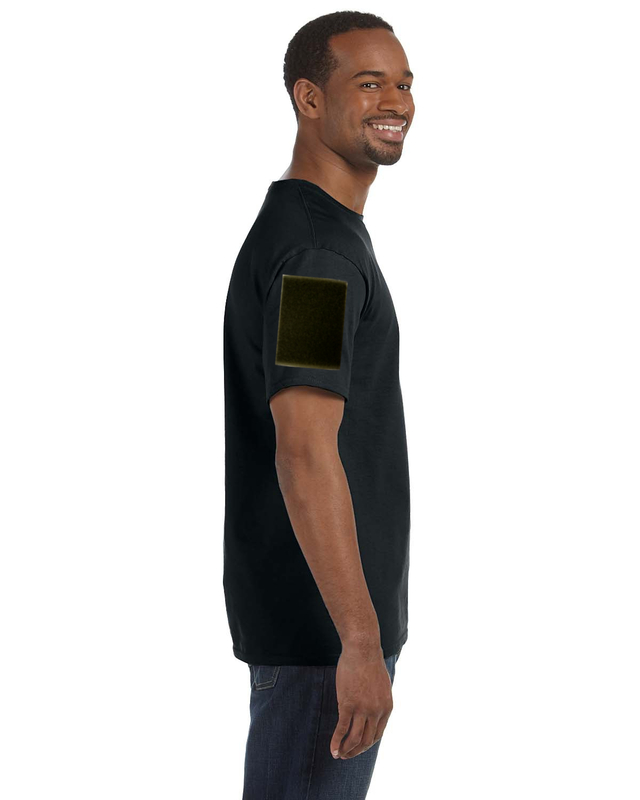 The shirt allows for any hook side Velcro patch to be easily applied and removed. 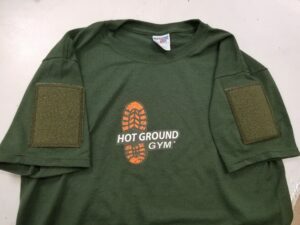 The patches are approximately 3″ x 4″ on youth sizes and slightly larger for the adult sizes. 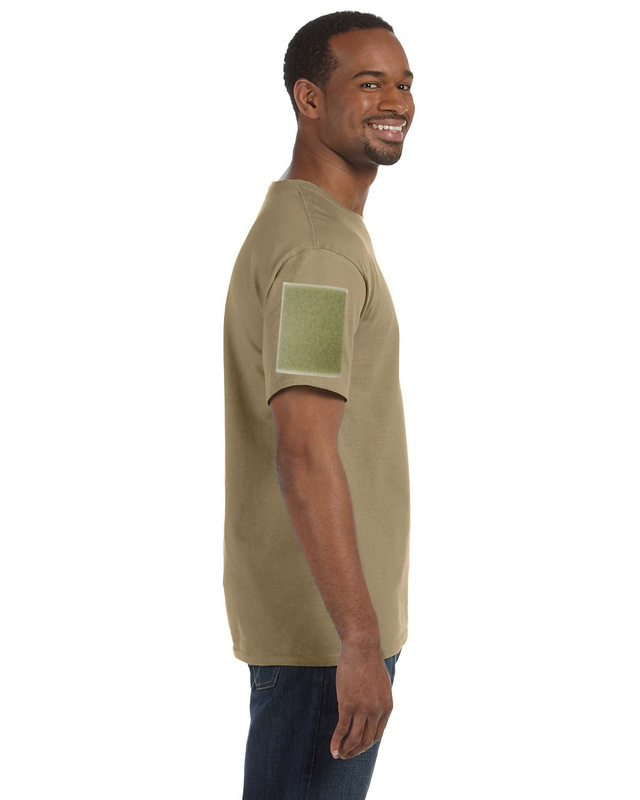 Currently this product is available in: Black, Military Green and Beige, although custom orders are possible. 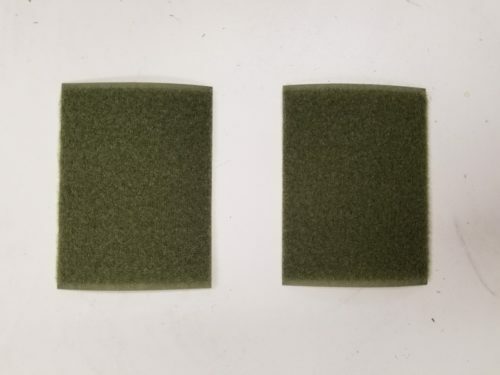 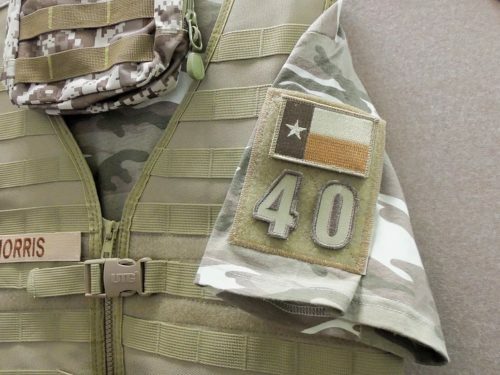 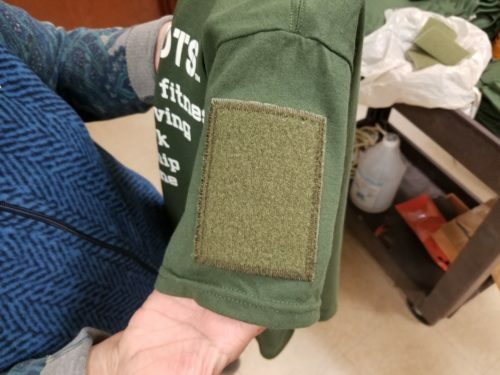 The Velcro patches are fuzzy side, which means that any morale patch, number, PVC patch or embroidered patch that carries a hook side will adhere to the patch. 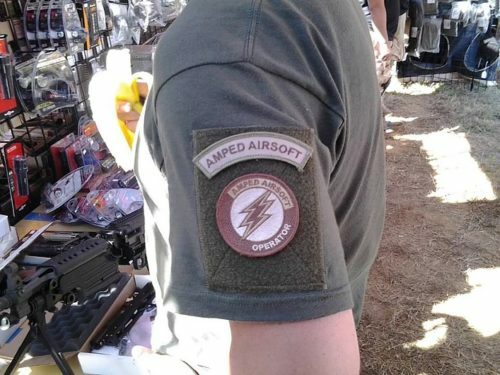 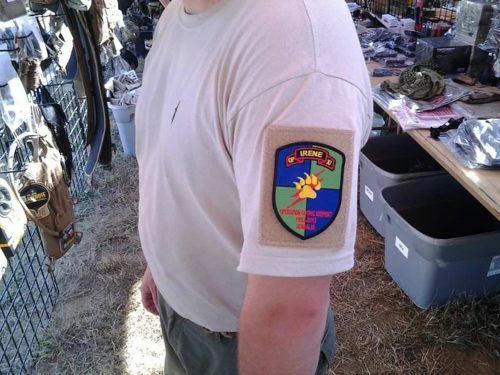 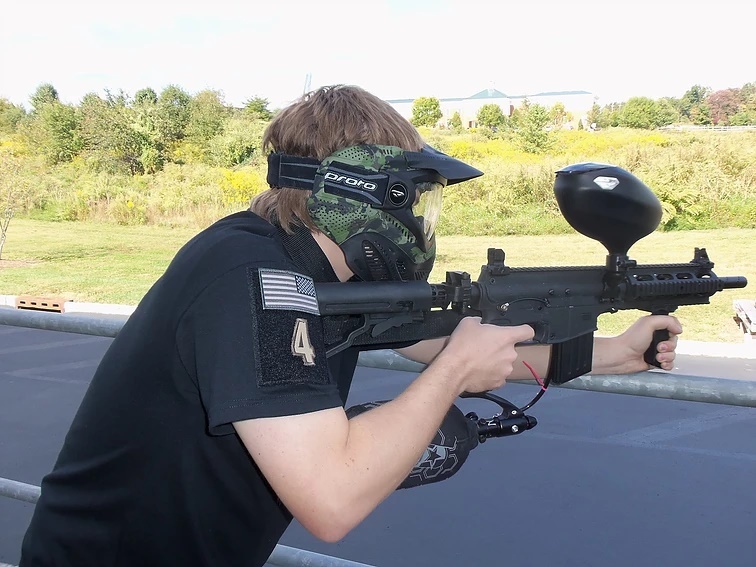 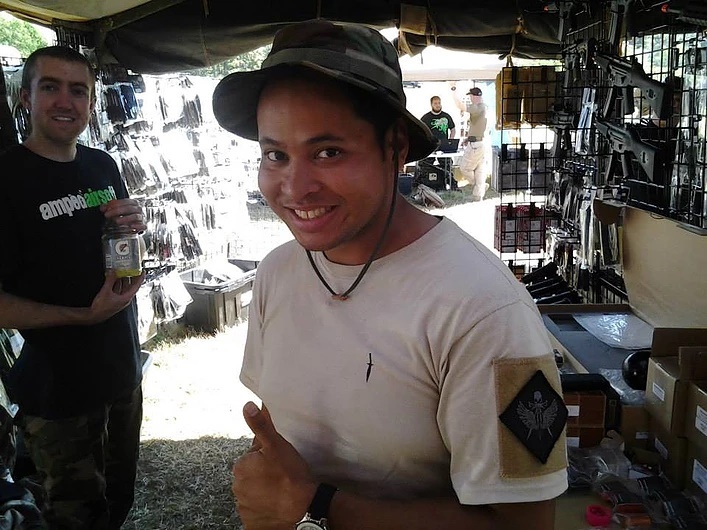 These shirts are great for: Military, Air Soft, Paint Ball or any program that awards patches for achievements.